Keep Up is a return to Eilish's trademark huge-chorus emo-pop electronica. Wickedly smart co-production by Eilish herself and Japanese Wallpaper, mixed by Kon Kersting (Mallrat, Jungle Giants, Tia Gostelow). 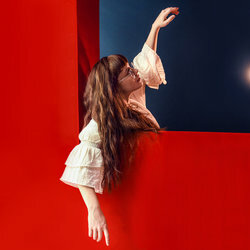 Musically it sits on the spectrum between her 2018 singles (SMFY and Patterns) and her recent single ’The Pull’ (a gorgeous piano-led ballad).